Go for a run on the treadmill or a swim in the pool, and you may do more than build muscles and endurance — you could also boost your brain’s protection against dementia. In fact, one recent study examined all the modifiable risk factors for Alzheimer’s, including smoking, obesity, diabetes and physical inactivity, and “it suggested that physical inactivity was the No. 1 modifiable risk factor,” Dougherty says. To better understand the impact of exercise on the aging brain, UW Health is participating in large, randomized national study that will test whether exercise can slow memory loss progression and symptoms in adults 65 and older who already have mild memory problems. Past research from the Wisconsin Alzheimer’s Disease Research Center and the Wisconsin Registry for Alzheimer’s Prevention (WRAP) — the longest ongoing study of its kind looking at adult children of Alzheimer’s patients — points to the protective potential of exercise. Individuals who reported more physical activity on a questionnaire showed fewer negative changes in the brain, including brain atrophy and decreases in glucose metabolism. “Those who live more active lifestyles have less Alzheimer’s-related pathology in their brains than those who are less active,” Dougherty says. But it may not be enough to simply keep moving — research from the Wisconsin Alzheimer’s Disease Research Center has found that people who spend more time participating in moderate intensity physical activity have a healthier level of brain glucose metabolism, which Dougherty describes as “fuel for the brain.” These results were not found with light intensity physical activity. It appears that physical fitness can also make a difference. Certain regions of the brain typically get smaller through the normal aging process, but individuals who were more physically fit (as determined by an exercise test of their aerobic capacity) had greater brain volume in areas related to memory. The higher the fitness level, the healthier the brain appeared. “In order to see an improvement in fitness levels, individuals need to exercise at a moderate to vigorous intensity,” Dougherty notes. So how does exercise change the brain? Researchers have only theories for now, but they think it could be because exercise increases blood flow to the brain to help remove toxins, or releases hormones that help create new brain cells, Dougherty explains. Research has also shown that exercise can improve cognition in healthy individuals as well as those at risk for Alzheimer’s and dementia. Don’t wait. Studies have found positive brain changes as soon as six months after participants start working out. Make it regular. “A lot of the research we’ve conducted has shown around 150 minutes a week of moderate to vigorous activity is beneficial, so we suggest 30 minutes of physical activity five days a week,” he says. Step it up. While there’s not enough research to know whether vigorous exercise has an edge over moderate exercise in terms of brain health, it’s clear that moderate exercise is worth striving for. Improve your other daily habits. 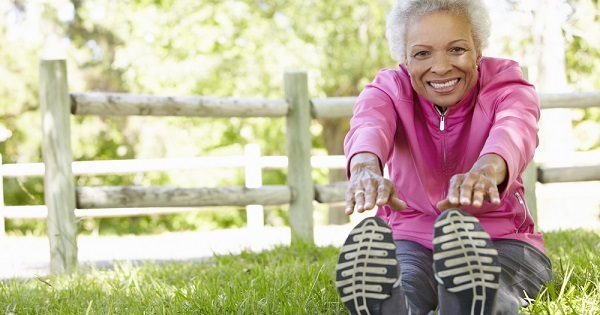 Exercise isn’t the only way to protect your memory. UW Health is currently recruiting volunteers for the national exercise study. If you’re between ages 65-89, are experiencing mild memory lapses, are not taking insulin, are in relatively good health and are NOT regularly exercising, you may be eligible. Participation includes 18 months of aerobic exercise at a local YMCA four times a week or participating in a stretching/balance group. For more information about this or other studies, go to www.adrc.wisc.edu/open-studies.